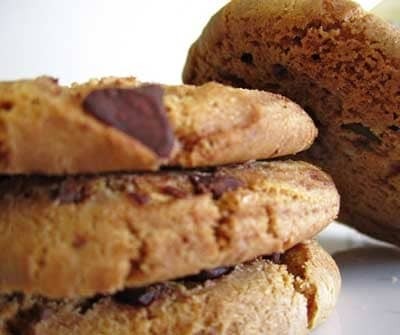 We've perfected the Gluten free cookie recipe with our Gluten Free chocolate chip cookies. Soft centered and crispy outside these cookies are baked to perfection. Makes the perfect gift. These gluten and dairy free traditional favorites will make your mouth water. Our chocolate chip cookies are baked to a crisp perfection and loaded with the finest semi-sweet chocolate chips available. You can warm one up to dip into a cold glass of milk, or serve them at a party where they are sure to disappear. Make somebody's day by allowing them to remember what it feels like to enjoy this traditional American favorite!